Several of the symptoms that we typically associated with the process of aging, can often be caused because of low levels of thyroid hormones. Some of the symptoms can be misinterpreted so it’s important to get a blood test to have our doctors review your hormone levels. 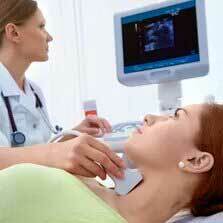 What is The Thyroids Function? 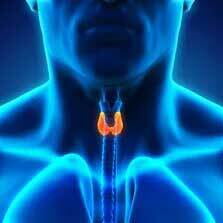 The thyroid is a gland that is a butterfly-shaped organ which is located just behind the Adams Apple. It responsible for releasing hormones which control our metabolism, or how our bodies use energy. If your labs tell us that your levels are low, we can design a program to keep your thyroid hormones optimized to fight the unwanted symptoms of aging. Our program may include prescription medication such as bioidentical thyroid replacement hormones, as well as recommendations for supplements, modifications in diet, and lifestyle, all designed to keep you looking and feeling your best. Weight Management in Jupiter through Thyroid treatment can change your life to help you live healthier and happier. Hypothyroid Therapy in Palm Beach helps patients with sub-optimal hormonal functioning to start feeling better, lose weight and improve their health. Here’s a video from the Dr’s discussing Thyroid functioning and how important it is to get it checked out from a professional like the medical team at NovaGenix, in Jupiter, Florida. We love our patients, so feel free to call us during normal business hours and schedule an appointment today.